Description: Panacea Decorative Seashells can add color and texture to flower arrangements and home decor. Create a stunning candle display, or table accent. Add to vases, jars, bowls, picture frames, rock gardens, and water fountains. May includes Clam, Scallops, Spiral shapes and more in assorted natural colors. Sizes are approximately 1/2 to 2 inch. 12 oz. 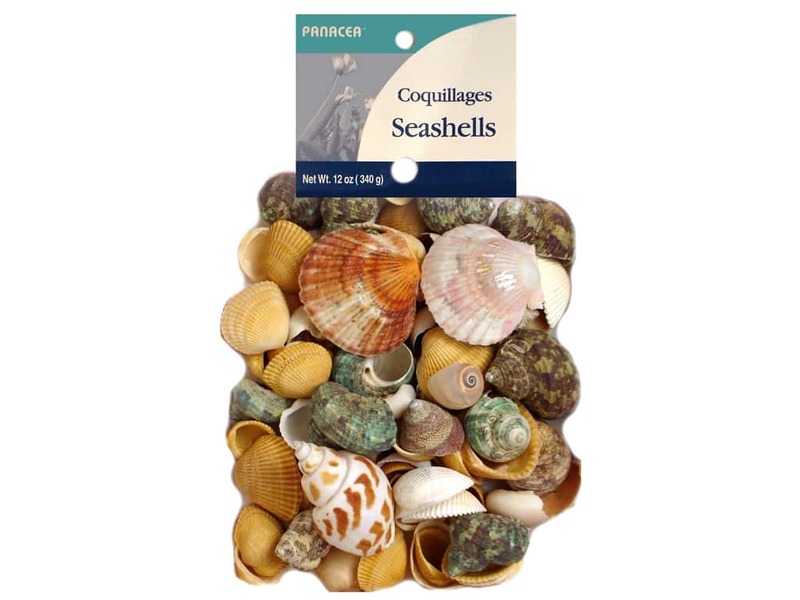 Panacea Decorative Seashells 12 oz. Assorted -- CreateForLess 0.00 out of 5 based on 0 ratings. 0 user reviews.